Note: Make reservation for 2 days and more get discount & free delivery for airport & port! 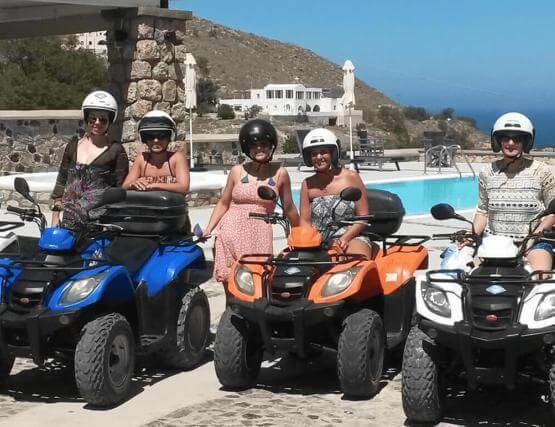 For ATV rental Santorini we always offer more. Such us new, clean and safe vehicles. even the most demanding clients. for your ATV in Santorini. choose the ATV that fits your needs. 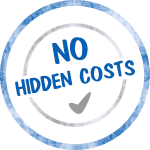 First of all we have clear prices with no hidden extra costs. 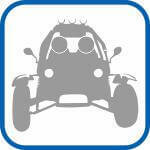 Moreover we offer the best prices and the best service for your ATV in Santorini. Finally our prices include third party insurance. 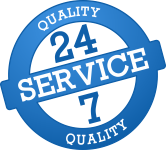 We always want to offer more and that’s why we offer 24/7 service. 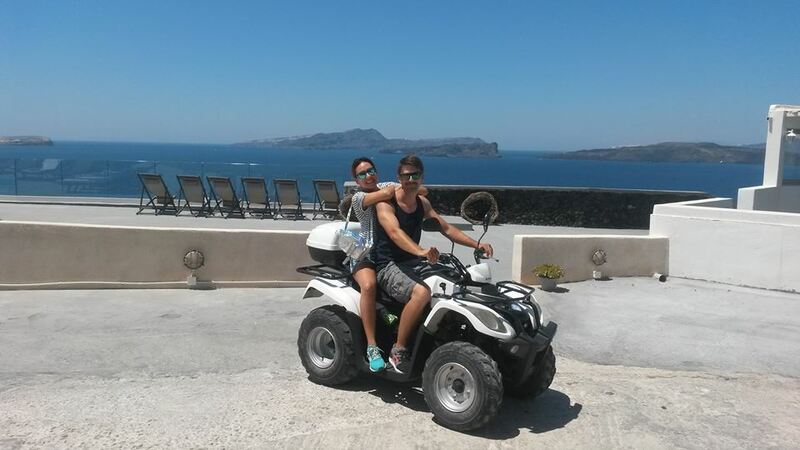 Yes, quad rental Santorini with real 24/7 friendly service. We never stop offering more. 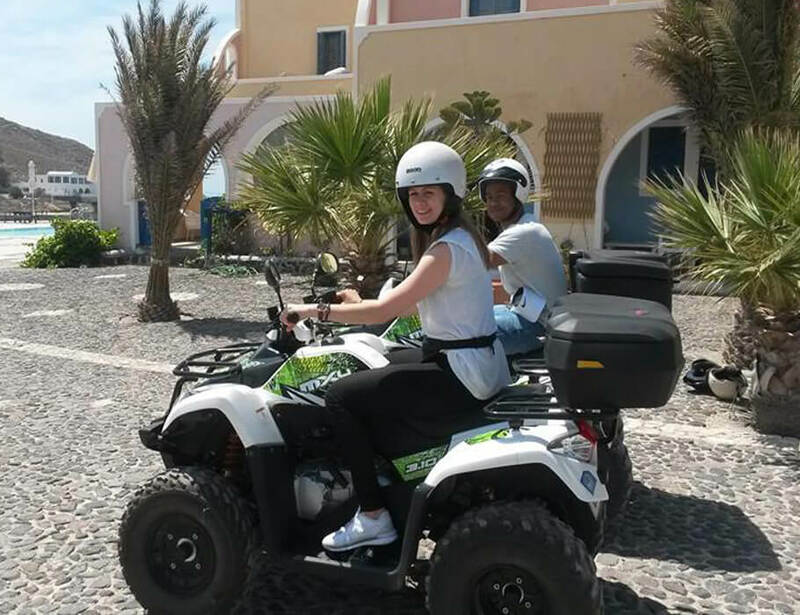 ATV rental Santorini with new, safe and clean vehicles. Most of all we want you to be safe and have a great time. For this reason our fleet consists of new, safe and well maintained vehicles. 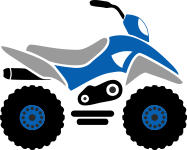 Safe ATV rental Santorni services. 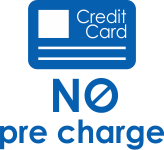 Finally we provide quad rental santorini services without pre charging your credit card. Of course we need your credit card data for secure reasons. 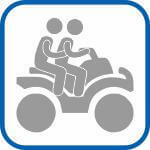 Easy & Safe Online Booking System for Scooters, Buggy, Quad & ATV in Santorini. First enter the desired pick up & drop off info for your Scooter, Buggy, ATV in Santorini. First choose the pick up and the drop off date & time. For more than 2 days rentals you get discounts and free delivery. Next choose pick up and drop off location. Second choose the ATV, Scooter, Buggy or Quad Bike that suits your holiday needs in Santorini. Most of all we want you to have a great time in Santorini. Beside that we want you to be safe and enjoy your holidays. For this reason we provide only safe vehicles. Third book online with safety your chosen model and get ready to know Santorini. On the subject of safety we are very strict. Therefore except from safe vehicles we provide a safe online booking system. Also our system is secured by SSL certificate. Finally when you will arrive in Santorini we will meet you in the desired location and we will deliver in perfect condition the exact chosen model and not a similar. Kymco MXU 170 is our 2nd ATV Santorini proposition. The MXU 170 has more power and features compare to the MXU 150. Rear swing arm suspension, preload adjustable shocks, easy to use automatic CVT and single disc rear brakes. Sym Quadlander 200 is our 3nd ATV Santorini proposition. SYM emphasizes on the ATV series with this 200cc liquid-cooling engine vehicle.This ATV offers convenient electric starter and kick starter which is used for outdoor emergency situation. Sym Qualander 300cc is our 4th ATV Santorini proposal. 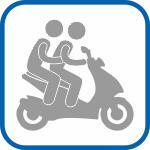 The extended seat of this ATV is specially designed and offers comfort rides to the tandem passenger. This multi-functional vehicle satisfies the demand for off-road sporty styling and on-road city drive. Kymco MXU 310cc is our 5th ATV Santorini proposal. This ATV follows in the footsteps of the popular MXU 250. Furthermore boasts a more powerful 4-stroke, liquid cooled, SOHC engine with rock-solid shaft drive. !!! Book Online & Save !!! I can say that Rent me Love me is reliable and trustworthy. I've rented a Buggy and it was perfect. My friend and i really enjoy the driving experience! Pretty cool! 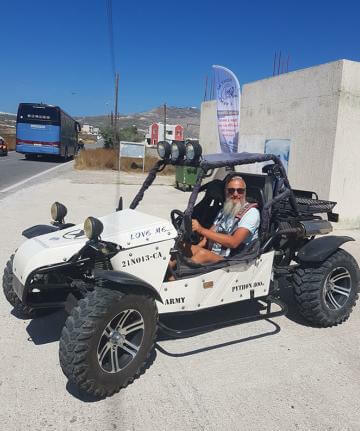 I hire a quad with my girlfriend and had an amazing week exploring the awesome island of Santorini.Rent me Love me is sure the best place to hire a quad at the most affordable prices. I rent a scooter this summer from Rent me Love me. The personnel where very kind and helpful. I really recommend Rent me Love me for your transfer in Santorini.